I've made quite a few different flavoured macarons, but here are my first lemon ones - I'm now wondering why I didn't make them before. 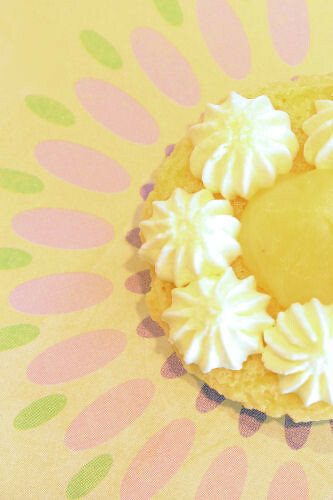 Tangy with a creamy filling, they are based on that famous dessert Lemon Meringue Pie, and are far easier to make. 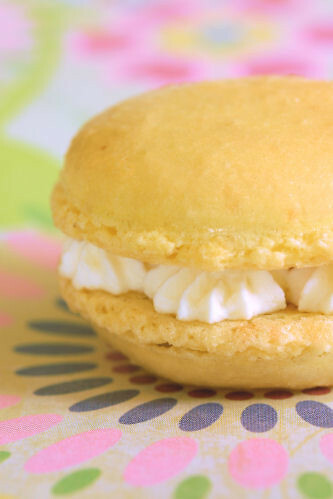 Lemon zest is added to the macaron shells and after baking they are filled with lemon curd and cream. Using the 1 egg macaron quantity as in my cranberry macarons recipe, I replaced the pink colouring with yellow and added finely grated lemon zest instead of dried cranberries. For the filling, I made some fresh lemon curd using Delia Smith's recipe and piped it onto the middle of the macarons, with some whipped double cream around the edge. These are heading over to the Mac Tweets monthly challenge and this month it's MacInspirational, creating something new with macarons. 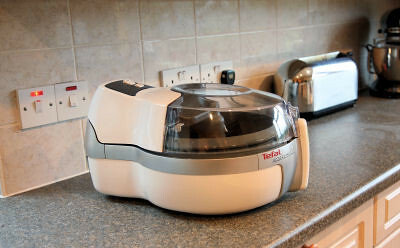 When I was asked if I would like to try the newly launched family sized ActiFry made by Tefal, I jumped at the chance. I had seen the magazine adverts and was curious about the fryer. The fryer's main selling point is that it can cook food - such as chips - using only ½ a spoonful of oil! Before I tell you about the performance of the ActiFry, I want to mention the appearance. It looks very futuristic and is rather revolutionary in design. The fryer is quite large and does take up quite a bit of room on the kitchen counter, but this one was the family sized one with a larger cooking capacity (1.5 kg). I found it to be fairly noisy, making a whirring noise for the cooking duration and the plastic rim seems to be a little flimsy. 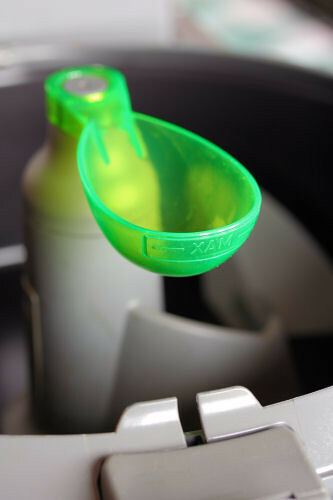 On the plus side, it is really easy to clean, it all comes apart and even the lid can unclip for cleaning; the ceramic bowl, lid & paddle are all dishwasher safe. The handle of the ActiFry folds down for storage and you can fold it down during the cooking process. The electrical cord can be removed and placed inside when you want to store the ActiFry in a cupboard. 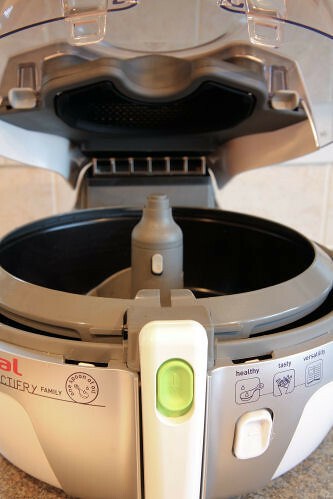 The ActiFry has a clear lid so you can see the food rotating while cooking, and there is a digital control LCD screen with a timer that is easy to use and beeps once the time is up. It automatically turns off once the timer has beeped. It comes with a really good recipe book that has comprehensive cooking times at the back and recipe nutrition information. How does it work? There is a specially designed paddle, which gently stirs the food coating the outside with a fine mist of oil, while a unique patented technology allows hot air to circulate through the food for perfect, even cooking with only 3% fat. I was feeling rather skeptical, but after using the ActiFry I was quite impressed. We don't have chips in our house very often, and when we do, I cook them in a special chip pan (with basket) on the hob. 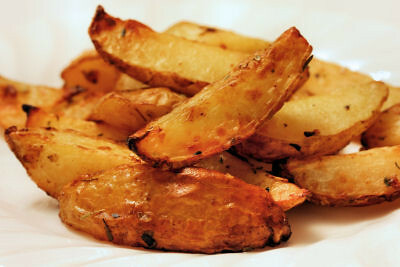 I do the twice cooked method, in which I cook all the potatoes on a lower heat in batches, then finish them in very hot oil which results in beautiful crisp chips. With the ActiFry cooker, you cut all the potatoes you need (it can cook up to 1.5 kg/3½ lbs, which serves 6), dry them with a clean tea towel or kitchen roll, before putting them all into the ActiFry pan. Using the special spoon, you measure out the correct amount of oil for the potatoes and pour it over. Set the timer and you are then free to get on with the rest of the meal. The largest amount of chips will take about 45 minutes. That seems a long time, but in reality, you can just leave it to do its thing - no standing there worrying if the oil will catch fire, no repeatedly draining the batches of chips for a large family. 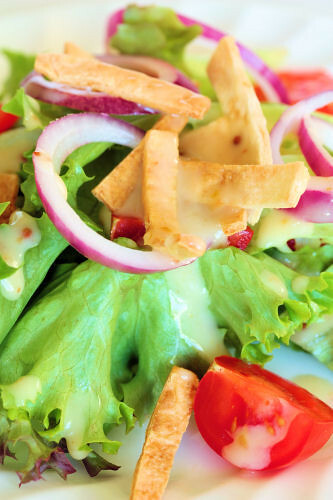 The time is less if you do a smaller batch of chips, for 250 g/9 oz the time is only 22 minutes. My chips - softer yes, but more healthy! The chips themselves are not quite the same as the oil deep fried ones, they seem softer and not so crunchy. 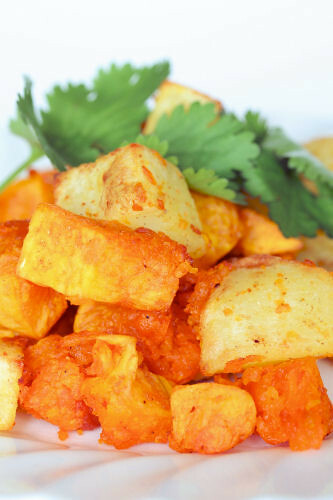 You can get them brown and crisp though, and can flavour them with paprika, herbs, spices or lemon etc. 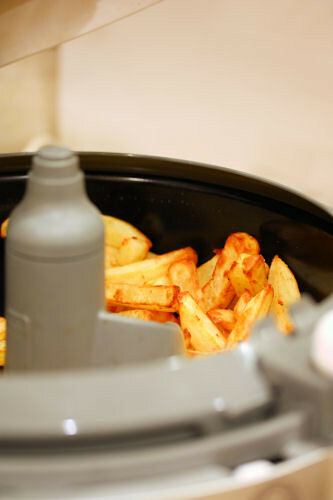 I would say that if you loved and ate a lot of chips, but want to do it in a more healthy way, or you have children who like to eat chips, the ActiFry is great. For those who like real deep fried chips and make them infrequently, this may not be the fryer for you. 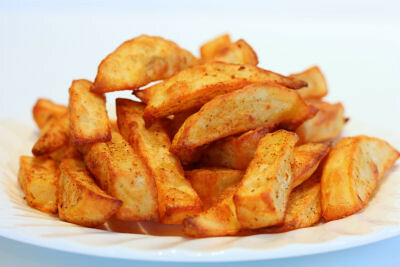 If you buy oven chips, you can cook them in the ActiFry very successfully. We ate more fried potatoes in the last couple of weeks than in the last year! The ActiFry is extremely versatile. 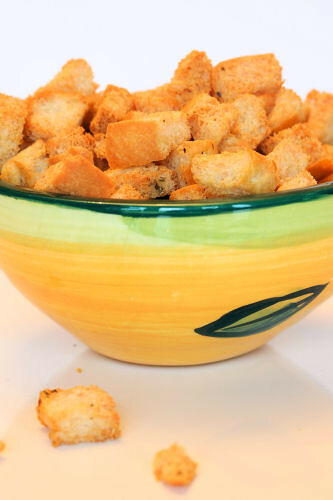 As well as chips, I used it for making crispy new potato wedges, cooking root vegetables, tortilla chips & strips, stir-fried vegetables, fried fruits and it makes the best croutons ever! I love that you can throw the food in and there is no turning/flipping over of the food. There is none of that horrible 'frying' smell that you get with deep fried chips and you feel safe using the ActiFry. The clear plastic lid does get quite hot during the cooking period, but it is still safer than having a pan of deep hot oil on the stove. You can leave it on while you prepare your fish/meat or take a phone call. Unfortunately, it doesn't do two things at once - you still have to cook the rest of the meal! The book that comes with the ActiFry has recipes such as bolognaise sauce, chicken korma, sausage & bean cassoulet, apples with hazelnuts & popcorn, lamb with cherry tomatoes, ratatouille, apricots with almonds, and honeyed pineapple with mango. The ActiFry would be perfect for busy, health conscious mums, and anyone who is trying to cut down on traditional fried foods. It is so much more than a chip fryer, and did I mention there was no standing over it stirring/flipping?!! On the whole, I loved using the ActiFry and didn't really want to give it back. My main concern was that it didn't seem as robust as I would like. Having said that, I was rather sad to package it back up for it's return journey, as it was well used while I had it. At least I know what to put on my Christmas list, it's only 342 days away! 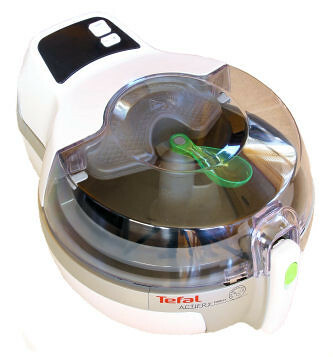 The RRP for the family sized Tefal ActiFry £229.99, but you can get it for £171.84 according to the Tefal website, where they have a price comparison page. 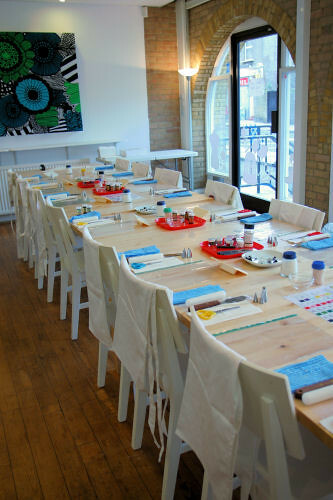 You can read more about Tefal products on their website. 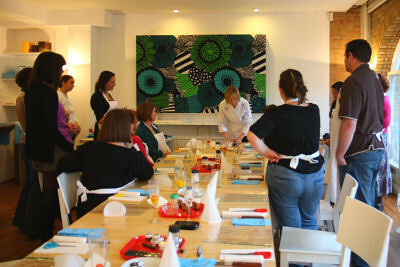 With thanks to Tefal and Rebecca at Slice. 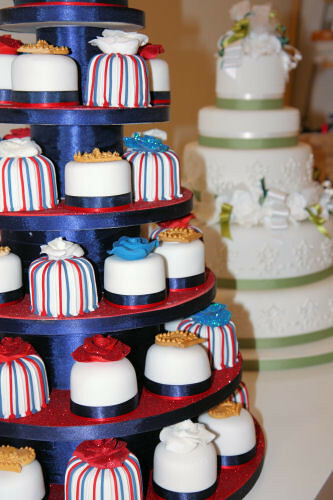 Many thanks to everyone for reading this blog and a special thank you to all those who made a recipe or commented on my posts. 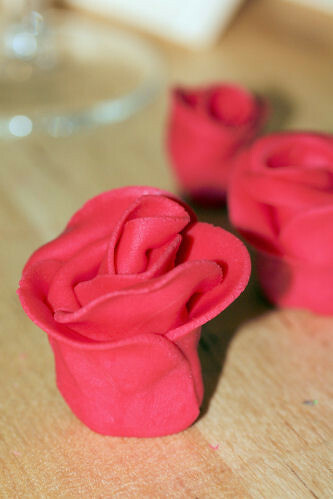 I've had a lovely blog break and am looking forward to 2011. I was going to do a round-up of my favourite recipes from 2010, but to be truthful, I enjoyed every recipe I made and really couldn't decide. 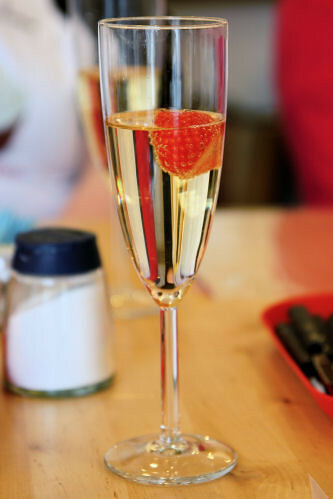 So instead I have done a year list in photos, where you can click on the link below the photo, taking you to the original page where you will find the recipes or links to the recipes. 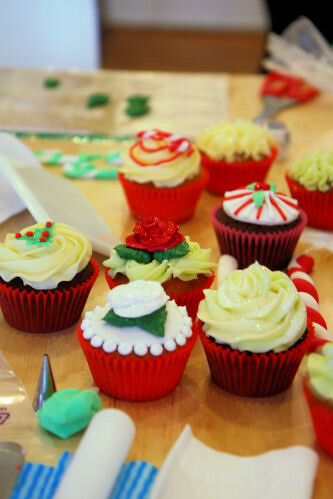 Back in November, I wrote about a cupcake decorating competition with Tesco's Real Food. 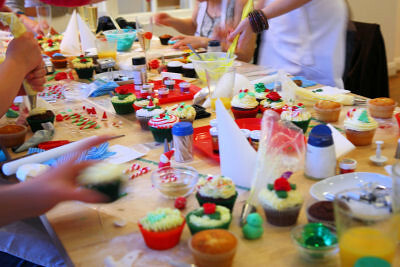 The two winners of that competition were invited to London to a cupcake decorating class. 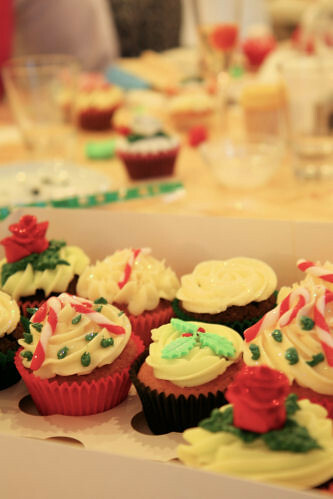 I was also invited, along with other food bloggers as a thank you for helping to judge the competition. 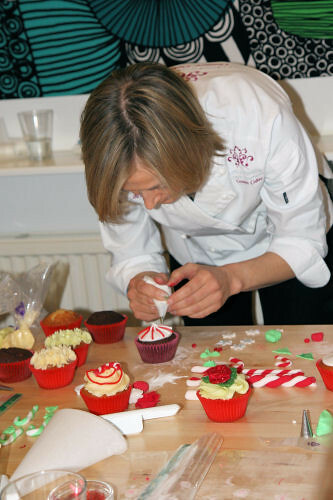 The decorating class was held at the Make Lounge with top cake decorator and designer Mich Turner from the Little Venice Cake Company. 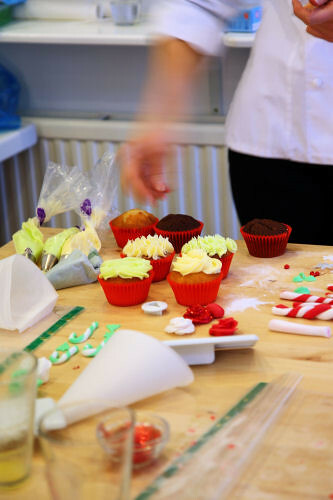 We were shown how to pipe buttercream and make Christmas decorations for our cupcakes, including sugar paste roses and twirled fondant candy canes. 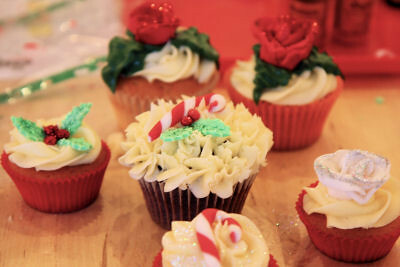 It was a thoroughly enjoyable afternoon, with plenty of glitter and sparkles. 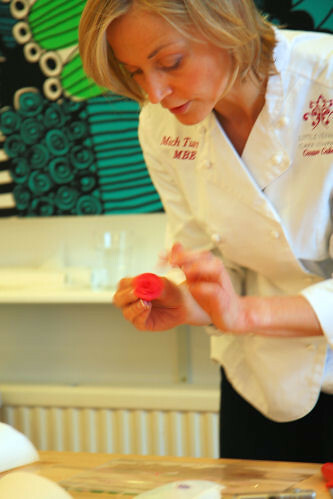 Many thanks to Tesco Real Food, Jai Kotecha, The Make Lounge and Mich for a super afternoon.